“Just take a photo or video from the Facebook Camera, or grab one from your camera roll, then tap on the sticker icon and select the music sticker. 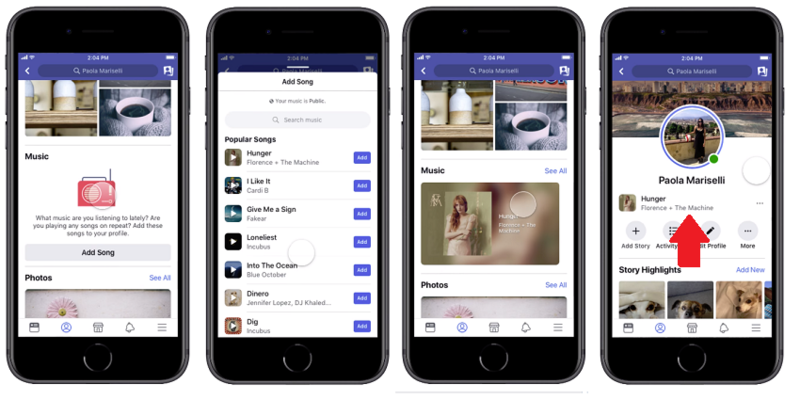 Once you find the song you want to add, you can pick the perfect part to share and add the sticker with the artist and song name. Move the sticker around and add other stickers and effects to customize your story”. 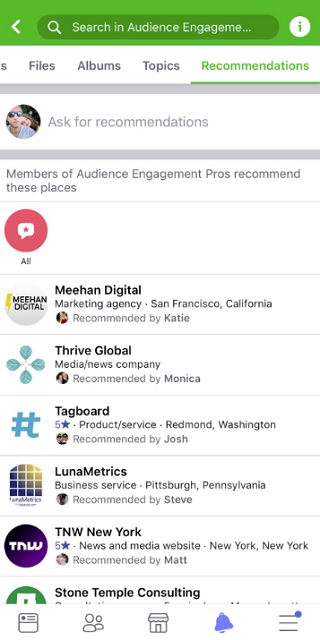 Facebook Rolls Out Recommendations For Businesses and Groups. With the ever-increasing instances of platform breaches, Google has rolled out new options for users to control their data. 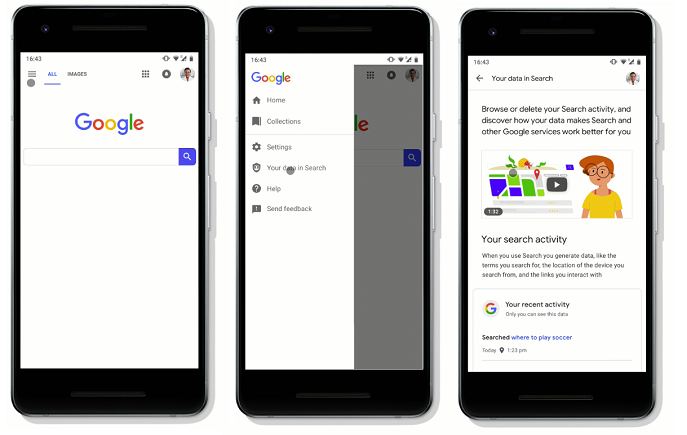 “Without ever leaving Search, you can now review and delete your recent Search activity, get quick access to the most relevant privacy controls in your Google Account, and learn more about how Search works with your data”. As IGTV has not had the success the social giant originally hoped for, Mark Zuckerberg has said they already have plans in the works to bolster viewership. Facebook has announced that it will be releasing updates to the ‘Breaking News’ tags available to publishers. They have already started showing breaking news labels to people in more countries including, Austrailia, France, Germany, Mexico, Spain, and the UK. Additionally, they have begun testing it in even more markets. 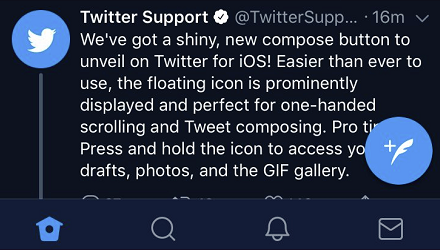 Twitter has added a new option to IOS which locks a compose option in place, even while scrolling. Here is what it looks like. Thus far, the new feature has definitely been met with mixed reviews with many users calling it “annoying”. Let us know what you think of the new feature! As part of their on-going effort to make the platform more advertiser-friendly, Pinterest has added Carousel formatted ads. The new ad type will enable users to include up to five images on the same ad. 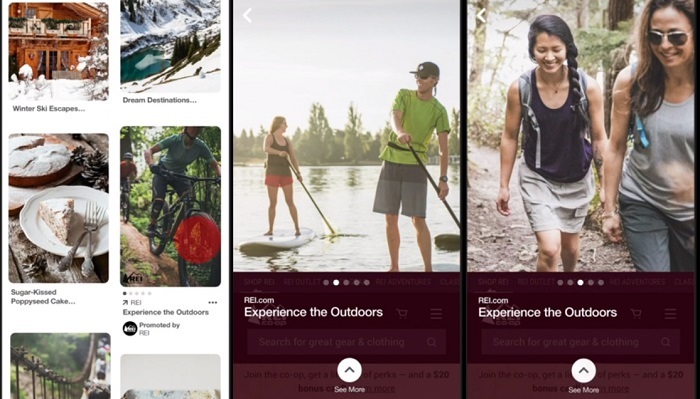 The pins will appear very similar to other ad types but will have small gray buttons at the bottom to allow users to swipe through the images. Here is an example they released. These will look and function very similarly to the way Instagram and Facebook carousel ads operate. In a much-anticipated move, the President of WhatsApp, Chris Daniels, has confirmed that the app will start showing ads in it’s “Status” feature. We are going to be putting ads in ‘Status’. That is going to be the primary monetization mode for the company as well as an opportunity for businesses to reach people on WhatsApp. It is worth noting, the platform has never run ads up to this point, and is a moment many investors were looking forward to. There are currently over 1.5 billion users of the app owned by social giant Facebook. After creating your sponsored content as a draft, by clicking on ‘Manage Tracking’, users will now be given the option to insert a Google tracking tag. The app should function with most third-party conferencing applications, except Facetime. It appears Snapchat and Google could not come to an agreement regarding the new function.